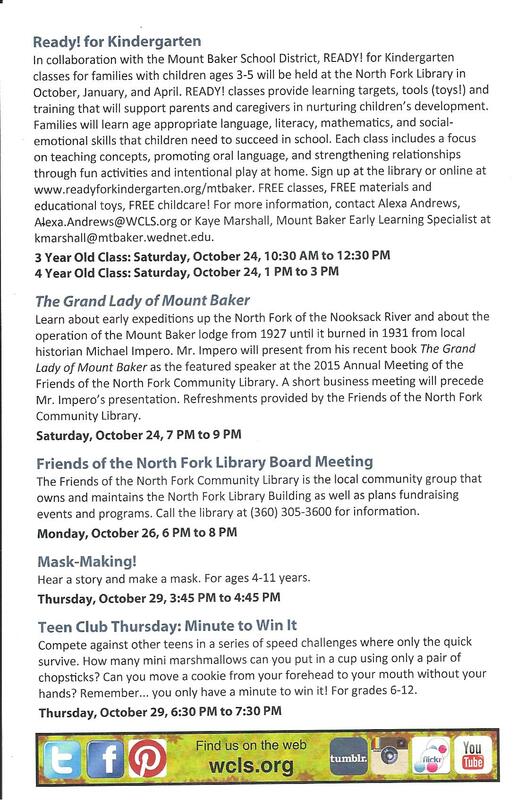 This entry was posted in Library Events and tagged Board Meeting, Grand Lady of Mount Baker, Health & Wellness, Herbs for the Winter Season, Mask Making, North Fork Community Library, Preschool Storytime, Ready! 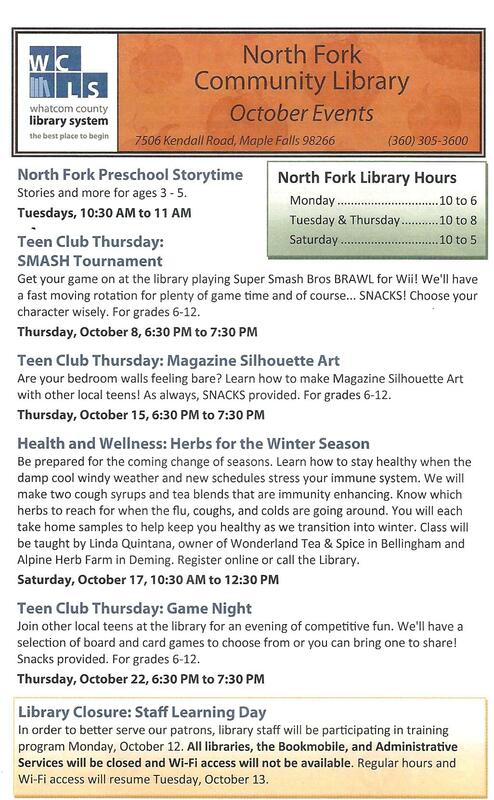 for Kindergarten, Staff Learning Day, Teen Club Thursday, whatcom county library system. Bookmark the permalink.